Our church’s Easter outreach made the local papers in Longmont and Boulder. Article in the Longmont Times-Call. Photos in the Boulder Daily Camera. March is the snowiest month of the year in Colorado, and this past Wednesday we had a big storm. Reports varied between 17 inches and 25 inches of snow accumulation. The roadsides looked like car graveyards and large parts of the Front Range were without power for extended periods. 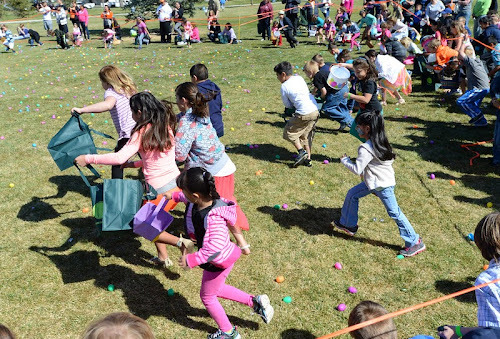 One of the issues for us was that every year our church hosts a big Easter event in Roosevelt Park in downtown Longmont, adjacent to the building we meet in, the St Vrain Memorial Building. This year, with that much snow on the ground and more snow in the forecast for Friday (last) night, we knew we wouldn’t be able to have the event in the park. Thankfully we were able to move the event indoors to the Memorial Building. Whereas in past years we’ve had up to 1200 people at this event in the park, we figured that with the snow and the move indoors we would see maybe 500 people attend. We were wrong. We know from raffle tickets that we had over 1000 people in attendance. The event went well, especially considering the limitations on space. We had a great team of volunteers to serve our community and hopefully next year we can be back outside. Each year is a learning experience, and we look forward to an event better event next year. One of the highlights of the event each year is the puppet show, which is one of several ways in which we share the true message and meaning of Easter with those who attend. Tomorrow is Easter Service at White Fields! He is risen indeed! The past 2 Sundays White Fields Church and yours truly have been mentioned in the local newspapers in Boulder and Longmont. Last Sunday I was honored to be featured in the Times-Call's annual 100 People of the St. Vrain Valley, in which I got to share about mission work in Hungary as well as what I enjoy about being a local pastor here in Longmont. You can find that article online here. 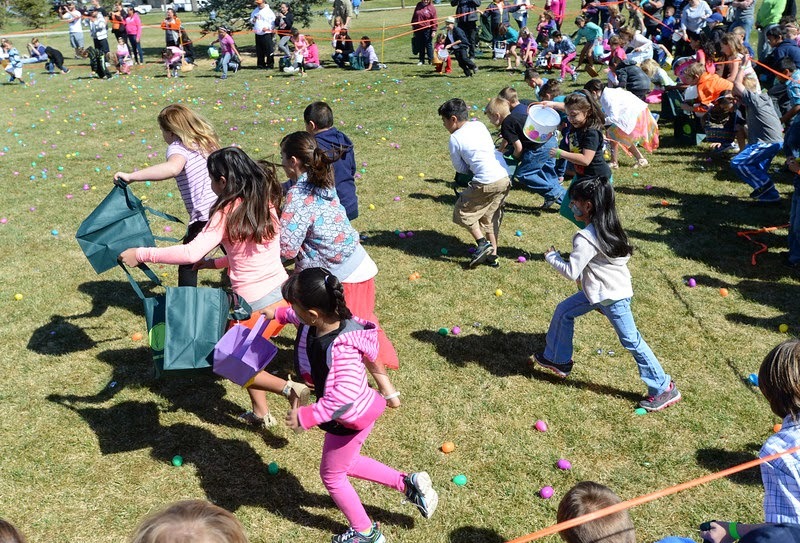 This past Sunday, White Fields' annual Easter Outreach in Roosevelt Park was reported on by both the Boulder Daily Camera and the Longmont Times-Call. Check that article out here. Sometimes you can't be sure how what you say to reporters will actually get reported, but I was very pleased with how the Camera and Times-Call reported what I said. This weekend, White Fields church will again be hosting the annual Easter Egg Hunt in Roosevelt Park on Saturday, April 4th at 10:00. It’s hard at this point to only call this an Easter Egg Hunt, it’s almost like an Easter Family Festival, because of all the activities available to families. If you live in the area, do come and check it out; we’ve ramped it up this year! Also, we invite you to join us on Sunday morning at 10:00 in the St Vrain Memorial Building for our Easter Celebration! The front page of the Longmont Times-Call featured this article about the Easter Egg hunt outreach our church is hosting this Saturday in Roosevelt Park. What I love about the online version of the Times-Call is the video interviews. This article has a great video interview with a couple from our church. Check out the article, and come join us on Saturday!